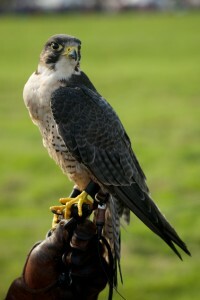 Wildlife Management Services offer a falconry service in order to deal with nuisance bird species in a non-lethal manner. Our experienced falconers use professionally trained Birds Of Prey including Harris Hawks and Falcons to humanely deter nuisance bird infestations such as gulls, feral pigeons, starlings, rooks, jackdaws, crows and ground nesting birds from a range of premises. All of our birds are appropriately licensed by the National Parks and Wildlife Service. As most people know birds and humans can come into conflict in certain situations and birds can cause serious health and safety risks. Birds colliding with airplanes cause’s flight safety concerns, gulls and corvoids feeding on waste in landfill sites and waste water treatment plants can act as vectors for disease and cross contamination and feral pigeons infesting sports stadiums leaving large amounts of guano behind them are just some of the situations that we have encountered. In some sectors such as waste management and the aviation industry, companies must prove that there is an active bird management programme in place before they are granted licences and certification to operate by governing bodies. These are just some of scenarios in which predatory birds such as falcons and hawks come to the forefront and are often the champion of successful bird management programmes. 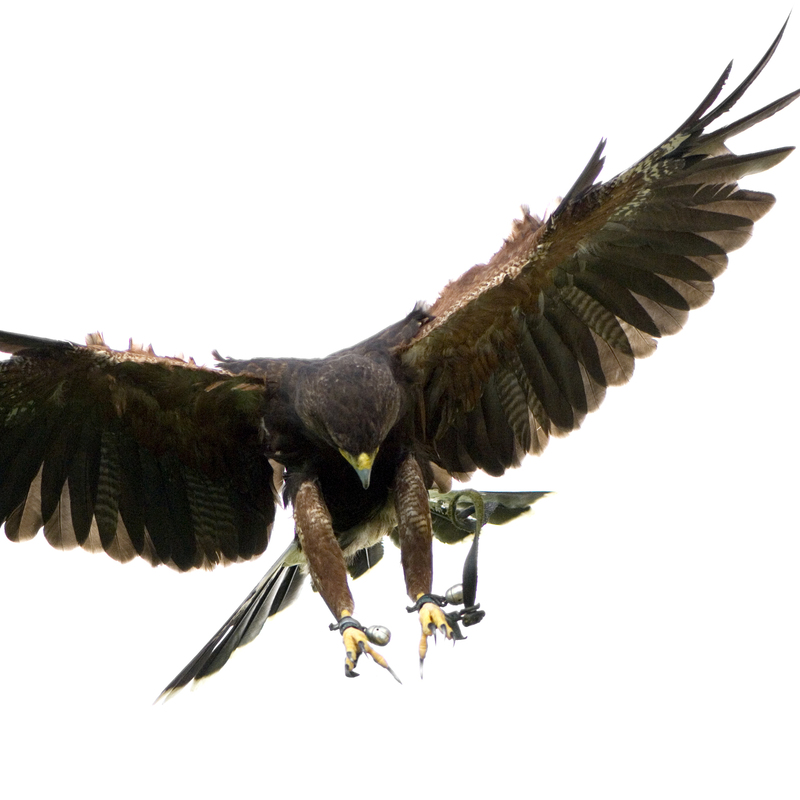 Hawks and Falcons are the ultimate predator of the skies and strike fear into their prey. This is known as the predator prey relationship; a natural method of bird control using nature’s instincts. Birds of Prey can cover large areas and are also suitable for urban areas where other responses are simply not practical. There are many products on the market to scare birds such as plastic hawks and blow-up owls, but nothing compares to the real thing. Contact us now for further information on this service.